John Ronald Timothy Byrne (known as Jack) was born on 9 July 1894. He married Mona Beryl (b.1899), daughter of James and Sophia Quested, at Sydney in 1923. She died on 7 October 1937 and is buried with her mother Sophia who died 8 February 1938 in the Catholic section of Rookwood Cemetery. John Ronald Timothy Byrne died on 16 August 1962, aged 68 years. Jack Byrne served in World War 1. Prior to his election to council, Jack Byrne was employed by the council for 25 years. He was indentured as an apprentice in the City Architect and Building Surveyor’s Department on 24 September 1924. According to Michael Matthews (in his history of Pyrmont and Ultimo published in 1982), Byrne joined the council after his war service. He started out as a ‘fitter and turner. His activities as a union organiser and shop steward constantly had him in dispute with the administration. He was a big man who spoke his mind, took no nonsense and expected those around him to meet his exacting standards. In 1950 he turned the tables on administration when he successfully sought preselection for the Phillip Ward in the Council elections’. The council’s block of units at Glebe, the John Byrne Court, was named after him. 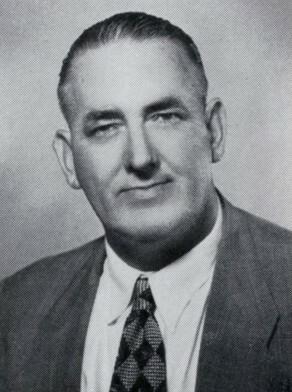 John ‘Jack’ Byrne was the Alderman for Phillip Ward and the Municipality of Darlington, from 15 April 1950 to 4 December 1953; for City Ward, from 5 December 1953 to 4 December 1959, and for Phillip Ward, 5 December 1959 to 16 August 1962. Byrne was Deputy Lord Mayor in 1950, 1952 and 1959. He was a member of the Finance Committee, 1950-52 and 1954-62 and its vice-chairman 1960-62. He was a member of the City Planning and Improvements Committee, 1950-53 and 1954-62 and the Works Committee and the Health and Recreations Committee in 1953. Matthews, Michael R 1982, Pyrmont & Ultimo history, Pyrmont Ultimo History Project, Ultimo, NSW, pp. 98-99.